What started as an app to request premium black cars in a few metropolitan areas is now changing the logistical fabric of cities around the world. Whether it’s a ride, a sandwich, or a package, we use technology to give people what they want, when they want it. 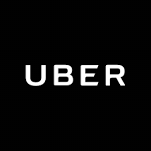 I have completed 1,513 rides for Uber in Cincinnati. While I enjoy the rider interaction very much, Uber misleads drivers about how much you can make as a driver, and they do not value the drivers they "partner" with. The reason that they are aggressively looking for drivers is that the average age tenure of a driver is less than 30 days. People going fire out that their earnings" after deducting vehicle cost and Uber's take (you receive 80% of the gross fare- Uber gets 20%) result in an effective hourly wage of around $7.00 per hour. If they were a reputable employer, you wouldn't see 100 listings on here. Uber underplays and uses people. I have not had any issues with Uber at all. They are very supportive and informative. I have been driving for UBER for over six months now and found the job on RetirementJobs.com. 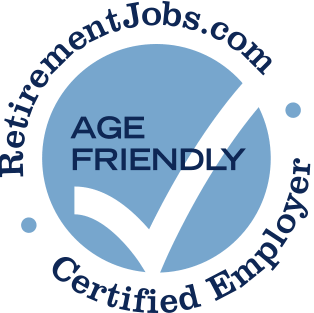 I know this company is aggressively looking to hire pre-retirees and retirees. They treat everyone the same - regardless of age! I like the ability to set my own hours and be my own boss. This is a great retirement job for me. They fire everyone over 50 systematically. During the first round of layoffs in the start of the financial crisis approximately 90% of those laid off were over 40. Continued layoffs followed again targeting the older staff members. Printing around the clock to meet the needs of our customers, UBS serves a multitude of businesses throughout the western United States. And we continue to enjoy tremendous growth. At a steady rate of 20% per year over the past decade, we have evolved to become one of the largest folding carton printers in Southern California.